CRM – (Customer Relationship Management) managing the customer relationships and customer journey and 360 degrees overview on customer are the key factors for the company success. We will offer you all the needed IT solutions. Our focus and strength is delivering, customizing and integrating the most robust, largest CRM solution Oracle Siebel CRM. Siebel CRM is designed for large enterprise companies from telecommunication, financial services, insurance, energy, pharmaceutical and public sectors. 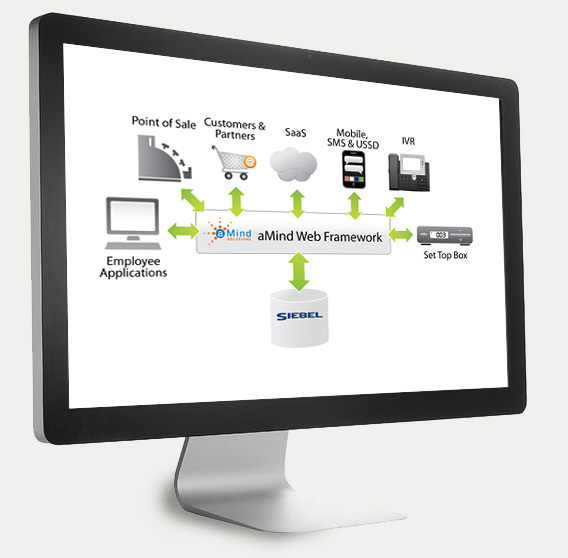 We are leaders in planning and performing Siebel CRM upgrade. We plan and deliver large upgrades between major version as well as yearly incremental repository merge (IRM). Incremental repository merge is the recommended approach to keep up with Oracle innovations and features. For the customer from telecommunication sector we delivered upgrade from Siebel 8.0 to 8.1.1.13 (IP2013) to proof the feasibility and estimate the final project for the Siebel upgrade. 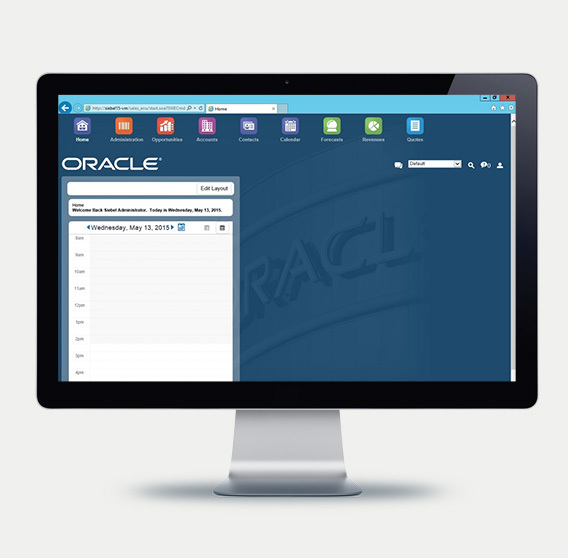 We are experts to plan, design and deliver migration for the Oracle Siebel CRM from ActiveX to Open UI technology. 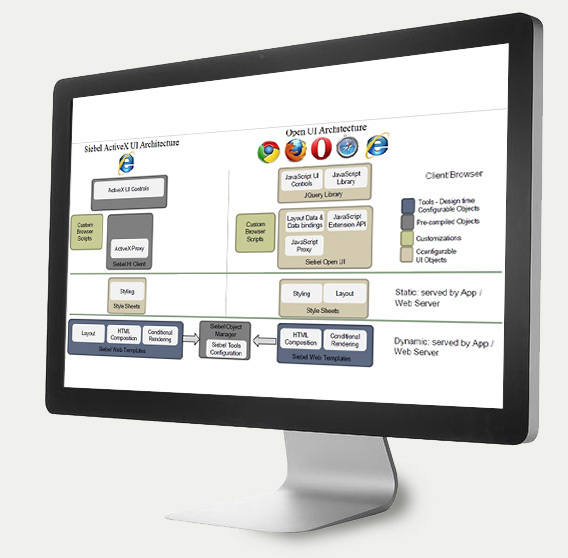 We can design and customize the user interface of your Siebel CRM to your corporate design guidelines. With the new Open UI technology we can improve processes in the way less clicks and user interactions are needed. Your processes will be faster and more efficient. for our client from insurance sector we participated on Proof of concept and feasibility for the migration from Siebel CRM ActiveX to Open UI technology for the IP2013 version. PoC showed after 3 Months feasibility of Open UI migration, identified issues and gave us the time and cost estimate. The results were later used for successful Open UI migration for the Siebel CRM IP15. Using the experience gathered from previous proof of concepts and feasibilities we delivered for our customer from insurance sector a successful Open UI migration for their call center, CRM and partner portal upon Siebel CRM IP15. Our client decided for very ergonomic and user friendly design guideline. After successful migration many issues were resolved and it opened new approaches and possibilities how to use their CRM. 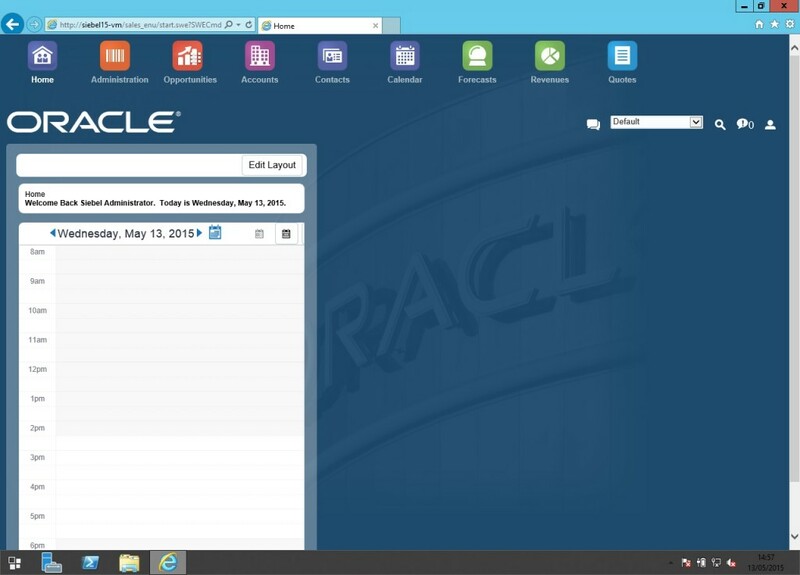 Extending the Siebel CRM into portal application for all customer channels such as Self-care, Partner Portal. Call Center, eShop is the key success to improve customer journey and decrease costs. 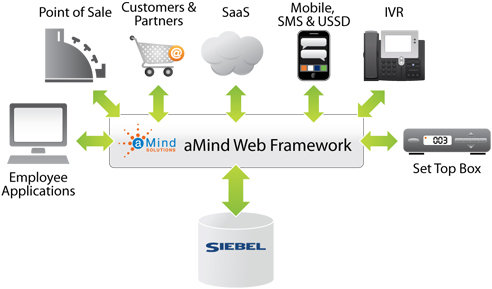 We are partner of company, which developed multichannel extension for Oracle Siebel CRM. 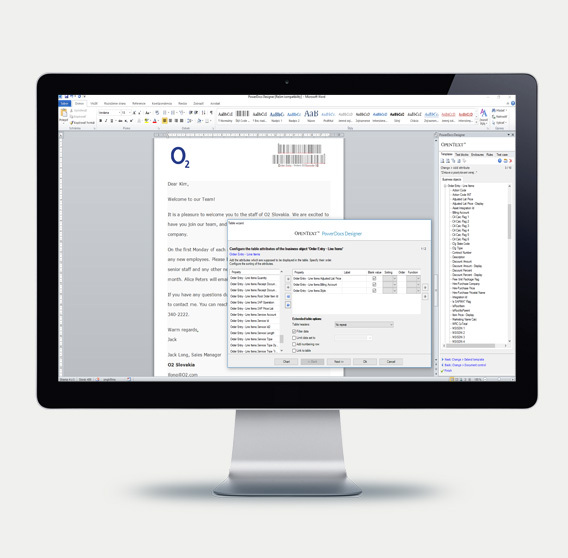 We can design and deliver for you CRM for all needed channels. We are expert to improve performance for Oracle Siebel CRM. Very often during Siebel CRM development the performance becomes poor. With Open UI migration the performance gets also worse. We have valuable know how and experience to fix it and improve the performance in order to have most value from Oracle Siebel CRM. For small and medium companies we offer Microsoft Dynamics CRM. With the sales, services, marketing, project management, finance and analytical module covers all the areas for customer journey. It also offers mobility and full integration with Microsoft software products such as Microsoft Outlook, Excel, Word, and Reporting. 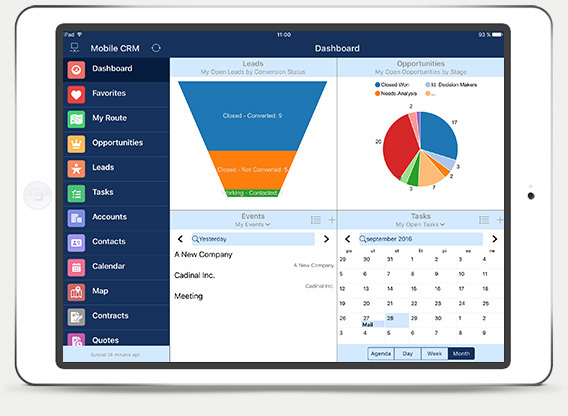 Mobile CRM products for all smartphone and operating system Android, Windows, iOS. It can work as mobile CRM for Oracle Sales Cloud, Salesforce , Microsoft Dynamics CRM but it can work also independent and in the offline mode. We offer and implement solution OpenText legodo Customer Communication Suite (CCS) to manage customer written correspondence. 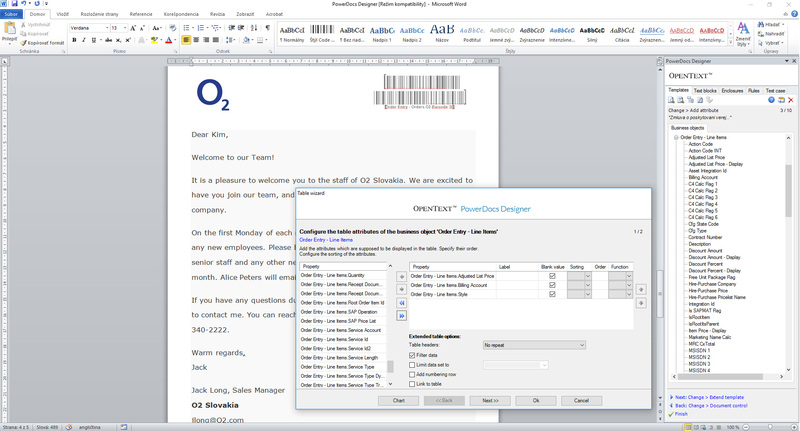 OpenText Legodo CCS represents innovative solution for document creation, generation and management usually Legodo CCS allows users to generate and distribute documents of any type, such as quotes, invoices, orders, contracts, marketing materials etc. The most often, CRM application with 360 customer view is used as a source system for legodo CCS, but any other system can be used. OpenText Legodo CCS does not serve for generating individual documents only, it supports report generation for Business Intelligence as well.